Labradors are one of the most popular dog breeds around. They originated in the United Kingdom and Canada and have gone on to be prized for a variety of reasons. Modern Labs are known for being great house pets and therapy dogs for those with disabilities. it's the owner's responsibility to know what to feed them and what to avoid. This breed is especially tricky to put into a box. Their temperament and needs can vary dramatically based on how they were raised and their current lifestyle. Typically, Labs are known to be active dogs that have periods of pure laziness. They can spend hours lying around doing nothing. However, when they do get active, they'll stay active. Furthermore, they tend to remain playful well into their senior years. This can make it tricky to pinpoint exactly how much food they need. It's important for owners to monitor their activity and adjust accordingly. Regardless of their daily activity, Labs are big dogs. Due to their size, these dogs will need a lot of food. Adult Labrador Retrievers will need approximately 1,500-1,600 calories per day. This amounts to roughly 30 calories per pound of body weight. This is an average amount that can be adjusted to fit a specific dog's lifestyle and weight. If the dog is more active, they'll need considerably more calories to replenish the energy they expend. These dogs will need roughly 1,900 per day. It's important to accommodate their daily activity to ensure that the dog doesn't lose weight. This could ultimately lead to malnourishment and a variety of health issues. Older dogs will only need around 1,100 calories per day. This is relatively high in comparison to other similarly sized breeds. Labs often stay active throughout their lives, especially if the owner is active. Of course, owners should keep an eye out on their weight and activity level. It's not uncommon for weight gain to occur as the dog gets older due to a lack of change in diet. From Blue Buffalo is this grain-free food packed with protein. The healthy formula is designed to imitate that of a wild wolf, so many of the ingredients are found in nature. The main sources of protein include salmon, menhaden fish meal, and chicken meal. These contribute roughly 30% of the mix. Instead of potentially problematic grains, this food utilizes sweet potatoes, potatoes, and peas for complex carbohydrates. 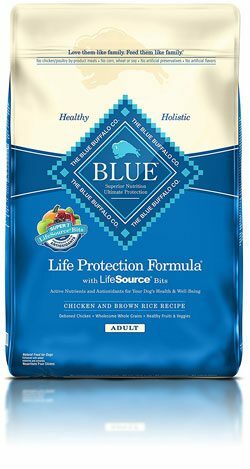 For an added health boost, Blue Buffalo incorporates their unique LifeSource Bits into the food. They are made up of foods that are rich in antioxidants like blueberries and cranberries. 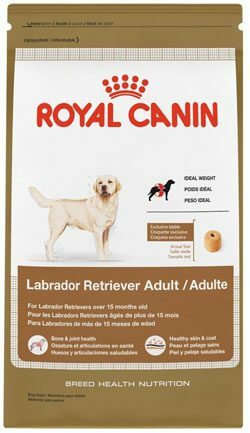 This food from Royal Canin is specifically designed for Labrador Retrievers. It contains a bevy of ingredients to help combat common health issues while providing a balanced diet. One unique thing about the food is its size and shape. The kibble has a donut shape that's meant to slow the dog down, force them to effectively chew the food, and promote proper digestion. As for ingredients, the formula contains chicken meal as the main source of protein. Anchovy fat is introduced to help the pup achieve healthy skin and a shiny coat. Other ingredients include calcium, brown rice, oatmeal, and more. Perfect for dogs with allergies or those seeking an all-natural diet, this dog food contains a collection of healthy ingredients for Labs. As the name implies, it contains all the essentials without any unnecessary frills. It's free of grain, gluten, and artificial preservatives. Turkey and chicken are used as the primary sources of protein while a number of fruits and vegetables like carrots, kale, spinach, and more provide essential nutrients and vitamins. Salmon oil is used for flavor and Omega Fatty Acids. The formula even contains natural probiotics and fiber to help with digestion. This formula from Blue Buffalo is made to help dogs achieve overall good health and maintain it throughout their lives. It too contains LifeSource Bits filled with antioxidants, minerals, and vitamins. The main food contains deboned chicken as its protein. This is complemented by the grains brown rice, barley, and oatmeal. The food also contains apples, potatoes, peas, and much more. Flaxseed and oil of rosemary are included to improve the dog's fur and achieve a shimmering coat. Additional ingredients like beta-carotene help with the dog's vision while calcium alleviates joint pain. 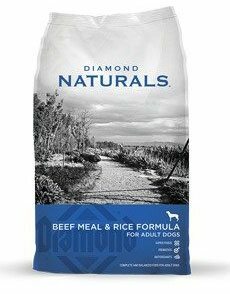 Free of soy, wheat, and corn, this formula from Diamond Naturals forgoes the fillers and utilizes high-quality ingredients that help the dog inside and out. This formula has over 50% protein, most of which comes from beef meal. Unique ingredients like chicory root, papaya, and blueberries provide the much-needed vitamins and nutrients. 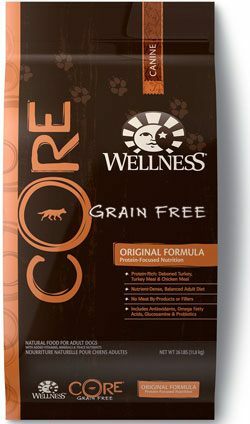 Furthermore, the dog food contains a balanced source of Omega Fatty Acids and a rich supply of antioxidants. The kibble itself is shaped to clean the teeth. The crunchy texture requires proper chewing, which reduces plaque and debris in the teeth. Labrador Retrievers are notorious eaters that can put away a good amount of food. While many other breeds know when to stop, that's not always the case with Labs. Free feeding should be avoided with this breed. Every meal should be measured out to ensure that the pooch gets exactly what they need, nothing more and nothing less. Owners should split their required calories throughout the day. At the very least, dogs should eat once in the morning and once at night. This can help prevent energy crashes that commonly occur with the breed. By providing them with enough energy in the morning and at night, Labs will have a healthy sleep and play cycle. Like any other breed, Labs are prone to certain allergies that can cause upset stomachs. Every dog is different, so it's important to monitor the dog's health and eating habits. New owners may find that there's a certain degree of trial and error when finding the right food for their furry friend. If the dog has an allergy, it's important to try different options until the particular allergen is discovered. One of the most common allergies that Labs may face is soy grains. If that's the case, owners may notice irregularities with stool and vomiting. These dogs may need special foods to accommodate their issue. Grain-free and other hypoallergenic options are available. They contain healthier alternatives to the allergen, allowing dogs to receive the necessary nutrients without the getting sick. Because of their size and activity level, Labs need a diet that works for their bodies. While a standard balanced diet will keep them healthy, these dogs will really thrive when they are fed diets rich in proteins and fats from high-quality sources. 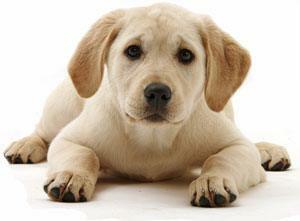 Labrador Retrievers can benefit from a high amount of protein. Typically, standard dog food formulas will contain at least 25% protein. This is a good place to start for Labs. Protein is a crucial supplement for any dog's continued development and health. However, it's especially important with larger breeds like Labs. Without it, these dogs can't develop properly. Proteins contain long chains of amino acids, which help with the advancement of muscle growth and preservation. The best type of dog food for Labs will contain upwards of 50% protein. The more they consume, the healthier and more active they will be. With that being said, it can be difficult to find foods with high levels of protein, as the ingredient is typically the most expensive. As a bare minimum, owners should aim for a food with at least 25% protein. When it comes to sources of the protein, natural is always better. 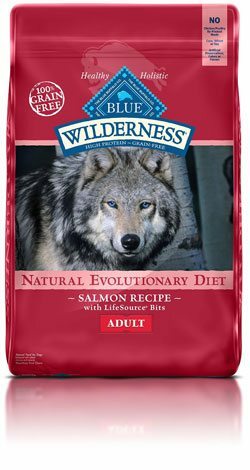 Anything that's similar to a dog's diet in the wild is ideal. Protein comes from the meat of animals, so ingredients like chicken, beef, or even fish are all great options. Formulas with multiple sources are even better. One thing to avoid is processed ingredients and animal byproducts. They don't contain the same beneficial nutrients as natural alternatives. One way to see if a dog is healthy is by examining the condition of their coat. This breed is known for having an illustrious coat. It should have a nice shine, despite the constant shedding they will experience. The ingredient that contributes to their healthy coat of fur is fat. It should be a healthy part of their diets but not make up too much of the formula. Fat should only contribute approximately 5% of the formula. Fat is often added to formulas to enhance the flavor of the food. It can make the kibble more appealing for dogs. The best supplementary fat is flaxseed or fish oil. These contain Omega Fatty Acids, which come with a number of benefits. 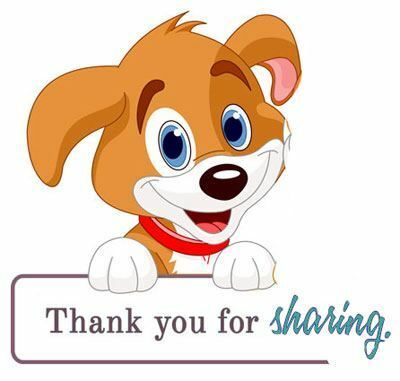 They can improve the dog's cardiovascular health, enhance their immune health, and much more. With that being said, the best source of fat will always come from the natural protein. These are already a part of the formula and aren't processed. Many dog foods contain supplements that add a boost of vitamins, minerals, and beneficial nutrients. However, they're not always necessary. High-quality formulas don't need any additional supplements. They should contain everything a Lab needs to stay healthy. With that being said, many manufacturers throw in some extras to provide additional perks. One of the most common supplementary ingredients is antioxidants. These are found in a number of different fruits and vegetables. They can help improve the dog's immune system and fight off common ailments that plague the breed as they get older. Antioxidants are known to slow down the process of cell destruction in dogs just like they do in humans. 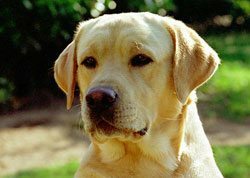 Labrador Retrievers can experience a plethora of different ailments throughout their life. A couple of different issues are common within the breed. Hereditary issues aren't guaranteed to affect all dogs of the breed, but they're quite common. While they can't always be avoided completely, certain ingredients can be used to alleviate symptoms. Joint issues, particularly in the hips, are far too common with Labs. Their large size and a playful attitude make them susceptible to hip dysplasia. The condition can result in a chronic pain that prevents them from performing normal activities. It's usually evident after a session of play and can even manifest itself through an abnormal gait when walking or running. One of the best ways to manage or avoid this problem is to introduce calcium into their diet. Calcium will help strenghten their bones over time and prevent the deterioration of cartilage in the joint. Many senior dog food formulas contain the supplement already. It's important to be careful with calcium in younger dogs. Too much of it can cause development issues in puppies. These dogs have huge appetites that are seemingly impossible to curb. They'll eat way more than they need to if given the chance and aren't particularly picky when it comes to what they eat. Owners need to stay on top of how much they consume to keep them at a healthy weight. Packing on the pounds can lead to serious heart problems, so any gained weight needs to be dealt with. An easy way to ensure that these dogs don't gain weight is to stick with a lean formula with high-quality protein. Lean proteins like turkey or chicken are more filling without the additional calories. They also contain more nutrients per calorie, allowing the dog to retain all the benefits without having to overeat. Should the dog gain weight, it's important to take action fast. Owners can manipulate their intake to better match their activity level. Alternatively, diet formulas are available. They promote weight loss while still providing the dog with all the nutrition they need to achieve good health. What is the Best Dog Food for Border Collies? What’s the Best Dog Food for Great Danes? What is the Best Dog Food for Yorkies? What is the Best Dog Food for Fox Terriers? What is the Best Dog Food for English Bulldogs? Bully Sticks: What are They Made of… Product Lifespan & How to Store?